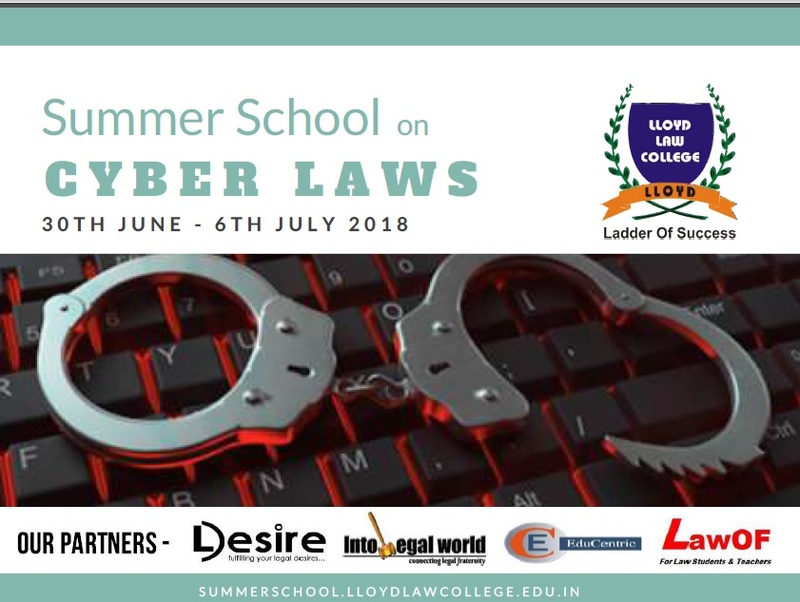 Lloyd Law College is organizing a seven days summer school on Cyber Law that shall be held at its campus from 30th June to 6th July 2018. The main aim of the course is to create awareness about cyber legal issues and challenges and to provide legal assistance and advice to people, who have been affected by misuse of cyberspace and connected services. Registration is open till 15th of June 2018. The participants are required to send their application including a registration form (Annex I of the Brochure) and a two page curriculum vitae along with the scanned copy of Demand Draft/ Cheque/ NEFT and send it to [email protected]. The hard copy of the Registration Form along with the Demand Draft/ Cheque must be sent to “Lloyd Law College, Plot No. 11 , Knowledge Park II , Greater Noida, U.P. – 201306.” latest by 21st June 2018.